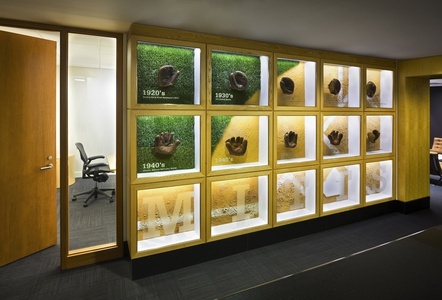 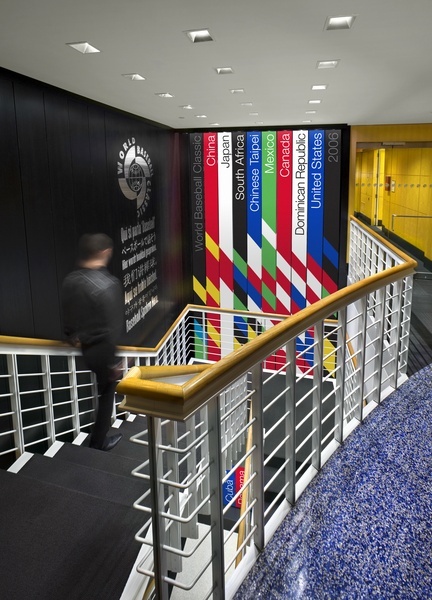 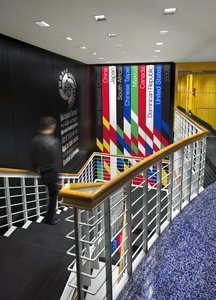 Based on the success of an initial environmental installation, MLB commissioned themed graphics for two additional floors of its Park Avenue headquarters. 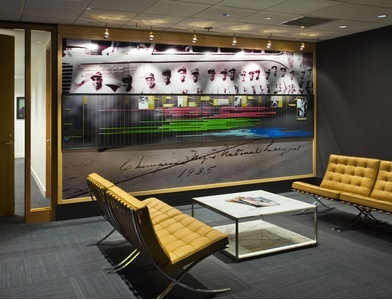 New murals included silhouettes of players, tabletop mosaics of baseball cards, a newsstand of classic magazine covers, and a diorama of Wrigley Field’s famous ivy-covered outfield wall. Major League Baseball trademarks and copyrights are used with permission of Major League Baseball Properties, Inc.